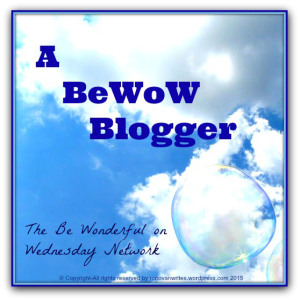 How can you spark your Blog World Creativity? It’s called the . . . Yes, that fabled thing we all hear about and sometimes actually take part in. I did one a while back. Now I’ve done two. Today, this being Friday, November 21, 2014 I have a guest post on Meanings and Musings by Florence T. How in the world did I end up on the blog of a very deep thinking, super intelligent ladies’ blog? Well it all started back in 1970 when two young tadpoles were born and then . . . okay maybe that’s too far back. Florence is crazy busy in her life and needed a stand in for her Blog for the day. And yes, Florence T is the Florence of LitWorldInterviews. So her being so nice as to help me out on that site I was more than happy to step in and save the day. Super Ronovan Writes to the rescue. Then I find out the topic. I wont’ tell you what it is, you’ll have to go find out for yourself. Let’s just say it’s not a subject I would have thought of. But the good thing is, it stretches the creativity. When asked, don’t say no. Just go for it and whatever the topic, do it. Just remember, you are writing it and you can make it what you want it to be, not necessarily what they thought it would be. As long as you write in a respectful manner that doesn’t like insult the audience or the host then cool. Like I know that on Meanings and Musings, Florence’s site, I will not use profanity. Not that I do anyway. She is a professional; attorney, therapist, teaching college, mother, saint. astronaut, former pop diva, and professional wrestler. (Some of that might be true and some might not. )I keep that in mind, although I don’t let it stop me from having fun. I still have to be me, and she knew that going in. Perhaps I will start Guest Posts here. Hmm. Not a bad idea. Random Writers on Ronovan Writes. Interesting.